The neuroscience is clear: We are wired to be mono-taskers. One study found that just 2.5 percent of people are able to multitask effectively. And when the rest of us attempt to do two complex activities simultaneously, it is simply an illusion. Attentiveness. 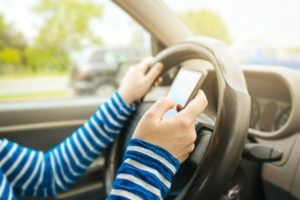 Those regulations against using your cell phone while driving are based on scientific data. Dual tasking (doing a linguistic or auditory task during a driving simulation) is associated with reduced activity in regions of the brain important for attention, as well as poorer driving performance. Several studies have proposed that individuals who are heavy media multitaskers adopt a style of attention control that favors parallel processing of multiple information sources over focus on one primary task. Another study compared the performances of heavy vs. light media multitaskers. Surprisingly, heavy media multitaskers performed worse on tests of task-switching ability, possibly due to greater difficulties filtering out irrelevant information. Learning. An adage states, “There is time enough for everything in the course of the day, if you do but one thing at once. But there is not enough in the year, if you will do two things at a time.” In essence, the more we multitask, the less we are able to accomplish, because we slowly lose our ability to focus enough to learn. Attention is essential to learning. If we attempt from an early age to multitask constantly, we do not practice how to tune out the rest of the world, to engage in deeper processing and learning. Empirical research has demonstrated that multitasking with technology (such as texting, listening to music, checking emails) negatively impacts studying, doing homework, learning and grades. Surgeons are not necessarily born with this ability to mono-task. We learn it — through hours and hours of surgery, over years and years of perfecting. And it can be quite pleasant. Many surgeons say that their most loved environment in the hospital is the operating room, despite the stress and risk inherent with the job. It is a place of isolation, a safe home from the multitasking world. This post originally appeared online on TIME Ideas.